Cool off in this warm weather with this recipe for an effervescent and refreshing Tepache, a lightly fermented pineapple drink. Tepache has similar qualities to a light alcohol cider. Although Tepache comes from the Mexican state of Jalisco, various types of fermented beverages have been drunk throughout Mexico since the creation of dirt. Luckily, Tepache has made its way up north. While it might still be a challenge to find Tepache, even in Los Angeles, if you are familiar and friendly with the Mexican loncheras or taco carts, ask and you may be surprised to find some Tepache hiding behind aguas frescas, or fermenting away in a dark corner of your favorite taqueria. Until then, try making up a batch of your own sweet and sour pineapple cider. 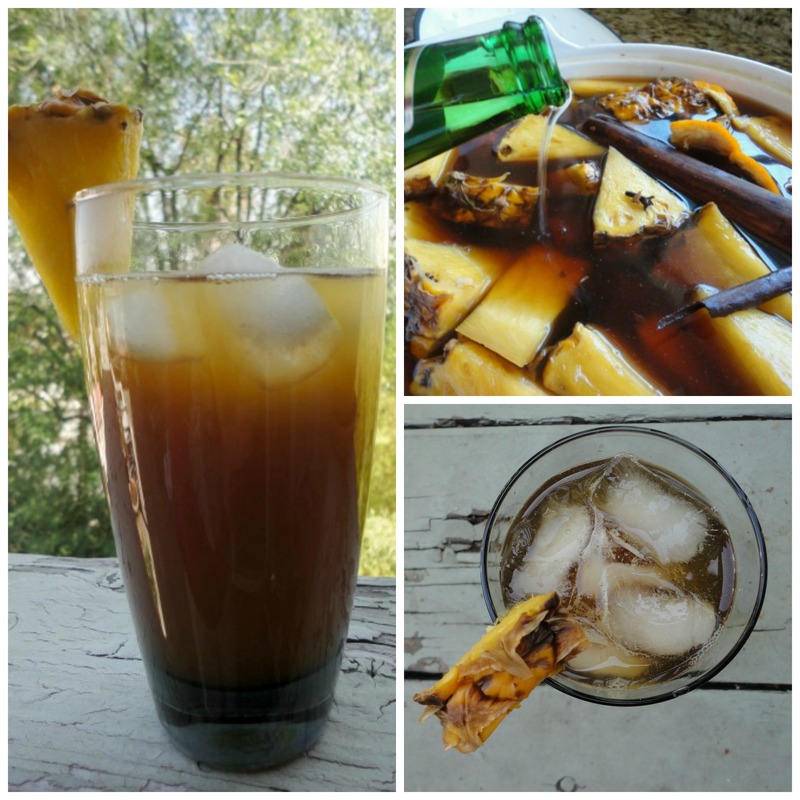 Not only is Tepache easy to make, it is especially refreshing over ice and added with a light Mexican lager on a hot summer day. 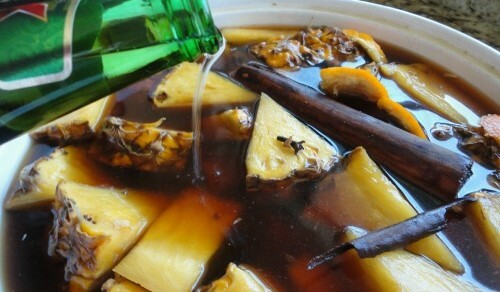 Combine the cinnamon sticks, cloves, piloncillo, and water in a large pot. Bring to a boil over high heat. While the water is coming to a boil, prepare your pineapple. Wash it thoroughly then cut off the top and bottom and discard. Cut the remaining pineapple in large chunks. Turn off the heat when the water comes to a boil. Add the pineapple and orange peel. Cover and allow to sit for 2 days in a warm spot. After 2 days, pour in a Mexican larger of your choice. Cover and allow to sit for an additional 8-12 hours. Strain and allow to chill before serving. Pour over a glass of ice with a light Mexican lager. EASY CHORIZO MEATBALLS: So Spicy, and Oh So Good!